TIMS is committed to saving you time. Our integration with other popular software packages that you use every day helps you leverage the connection to share data, take fewer steps, and get your work done faster. TIMS Software’s commitment to excellence reaches into the partnerships it has developed over the years. We continually look for companies that embody the same standard of excellence. Integration with these programs makes your workday just a little easier. Wise Telemetry offers remote monitoring products for the entire gas distribution chain from bulk gas transportation and storage all the way to individual cylinders and end-users. Each of our products senses and communicates critical information about your assets which improves delivery route planning, usage tracking, future demand prediction, and end-user satisfaction. With customers and partners across the world, you can trust Wise Telemetry to optimize your deliveries and save you money. Being successful in any business takes work, but for welding distributors we think it takes a little more than the usual amount. However, we want to help you work smarter, not harder, to get there. Mobile Computing is our way to get you there faster. Find out how Honeywell products can help you. With Mobile Delivery, you minimize those human errors in a pretty big way. Being able to auto verify cylinders means you spend less time correcting billing errors and more time serving your customer. DataOnline is a leading global provider of Industrial Internet of Things (IIoT) solutions. The company delivers the data insights customers need to reduce costs, prevent stock-outs, and improve customer service. Drawing on three decades of experience, DataOnline provides industry-leading hardware reliability, cloud-based scheduling and route planning tools, mobile access, and 24/7 support. Roadnet Technologies enables organizations with fleets and mobile resources to gain a competitive advantage through lowered transportation costs, improved customer service, and enhanced transportation intelligence. Through a powerful Fleet Management Platform, customers gain the ability to solve complex transportation challenges in a simple manner. All of this critical transportation intelligence is available through web-based dashboards and reporting—giving customers the power needed to make solid business decisions. DO YOU KNOW WHERE YOUR DRIVERS ARE? DELIVERY CAN BE AN ORGANIZED, SEAMLESS, AND PROFITABLE PART OF YOUR BUSINESS STRATEGY. Automate your delivery system to optimize your daily procedures with TIMS Delivery. 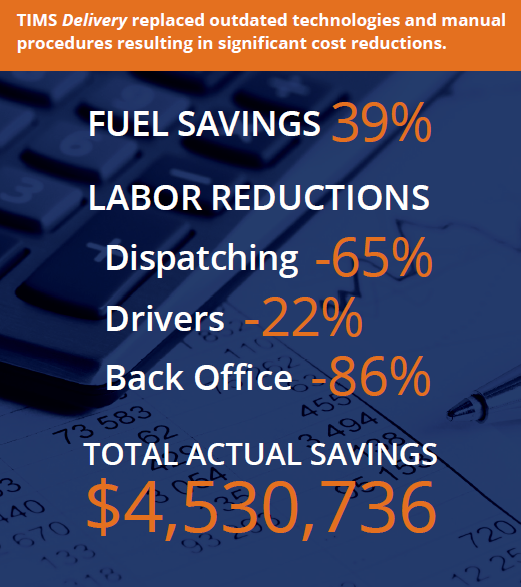 Discover how one TIMS Software customer not only saved big on fuel and maintenance expenses, but also on operations costs. It’s so much more than just a price update system…It’s easy to price and quote non-stock items without any rekeying. There’s no better system out there. 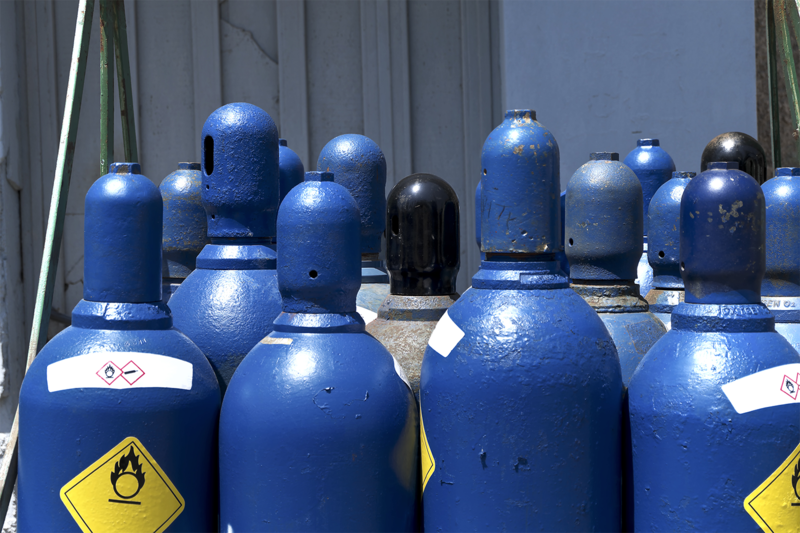 - Purity Cylinder Gases Inc.